While Stonyfield is best known for making yogurt, yogurt wasn’t the way the founders of Stonyfield thought they’d change the world. 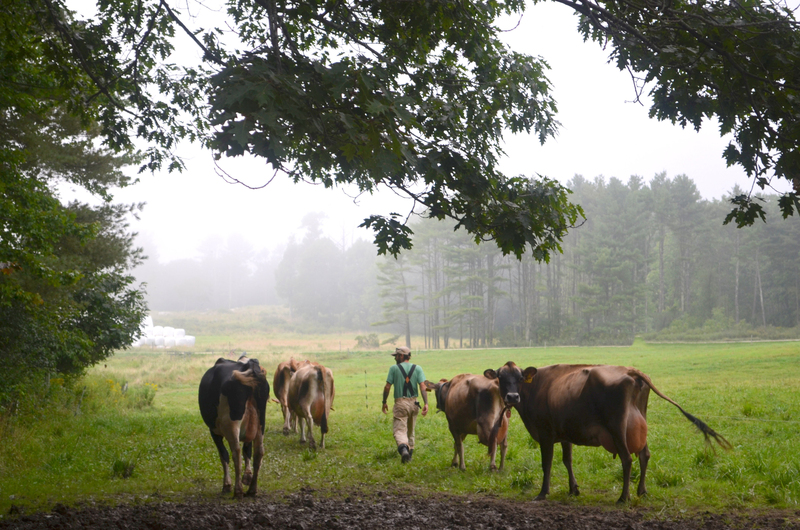 In 1983, Stonyfield co-founders Samuel Kaymen and Gary Hirshberg were simply trying to help family farms survive, protect the environment, and keep food and food production healthy through their nonprofit organic farming school. Just to keep things running, the duo started putting their farm’s seven cows to work making yogurt. They knew they were making a healthy food grown with care; what they didn’t expect was how much people would love it. People went crazy for the yogurt from Samuel and Gary’s little farm school, and the two knew they had found a way to make a real difference. With this yogurt business, the two organic farming teachers could show the whole world that a company could make healthy, delicious food without relying on toxic chemicals that harm the environment and public health. So, the two went all-in on yogurt and, over 30 years later, the folks at Stonyfield continue to honor the example their founders set. They’re still located in New Hampshire, just 30 miles east of the old farm. 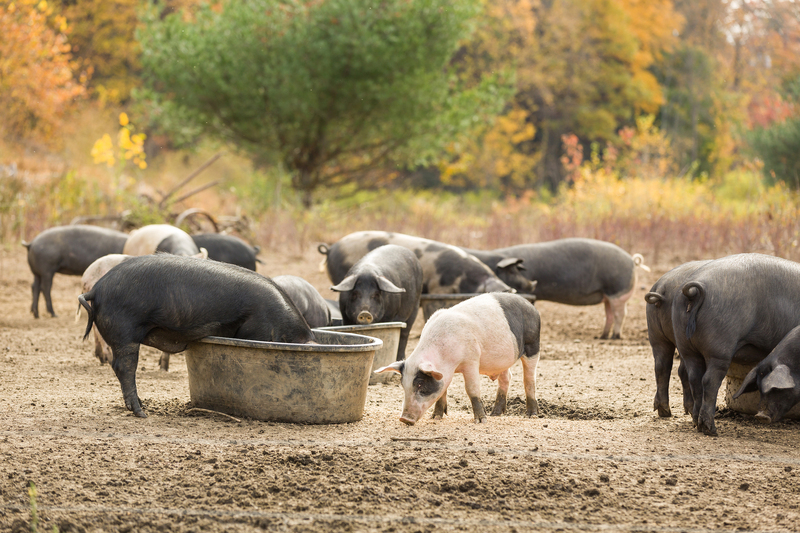 And now, their organic ingredient purchases support a huge network of food producers made up of hundreds of organic family farms, thousands of organic cows, and over 200,000 organic acres! They‘ve also pioneered planet-friendly business practices—from offsetting emissions at their production facility to making yogurt cups from plants instead of petroleum to making their own renewable energy, and much more. The thought and passion that started Stonyfield Organic in the first place have only grown stronger, and they’ve never stopped working for healthy food, healthy people, and a healthy planet. Stonyfield’s products are all 100% certified organic – made without the use of toxic persistent pesticides, artificial hormones, antibiotics, and GMOs. Eating organic isn’t just good for you and your family, it’s straight up good for other people and the planet. One of the main goals of organic farming practices is to avoid contamination of our precious soil, rivers, drinking water, and air with toxic persistent chemicals. Which also means organic farmers themselves and their neighbors aren’t exposed to potentially carcinogenic herbicides. Organic agriculture not only means less dependence on fossil fuels, it can actually help reduce climate change. It’s estimated that converting all of America’s cropland to organic would have the same carbon-reducing effect as taking 217 million cars off the road! 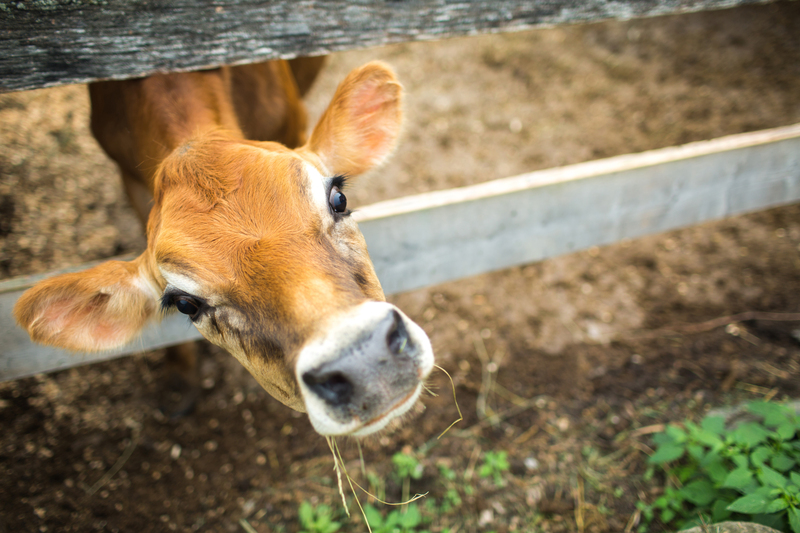 There is also compelling evidence to support the notion that organic dairy is more nutritious than its conventional counterpart. Why? Because it comes from cows that are actively grazing on grass, as nature intended. 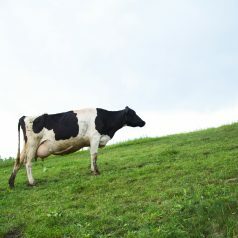 Organically raised cows spend their days outside on pasture so the milk they produce is significantly higher in Omega-3 fatty acids and CLA (conjugated linoleic acid), heart-healthy fats that can help lower bad cholesterol and increase good cholesterol. 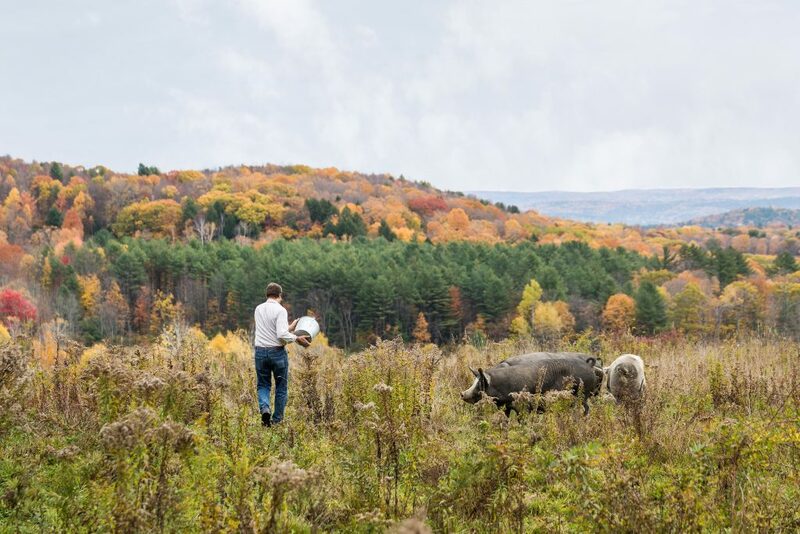 There is a lot to be learned and said about organic farming, and Stonyfield hopes you will join them in the journey towards better food systems. Click here to learn more. Alaffia was founded in 2004 with Fair Trade as the fundamental foundation of their organization, which is comprised of the Alaffia Village in Sokodé, Togo; the Alaffia Coconut Cooperative in Klouvi-Donnou, Togo; and the Alaffia headquarters in Olympia, Washington. Their cooperatives handcraft indigenous raw ingredients, and the Alaffia team in Olympia creates the finished products. 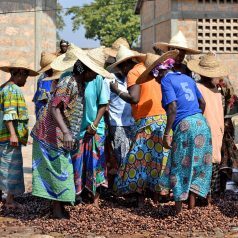 Proceeds from the sales of these products are then returned to communities in Togo, West Africa, to fund community empowerment and gender equality projects. What impact have your Alaffia purchases had in these communities thus far? Each year in West Africa, 160,000 women die due to complications during pregnancy and childbirth. Over her lifetime, a woman in sub-Saharan Africa has a 1 in 16 chance of dying in pregnancy or childbirth, compared to 1 in 4,000 in developed countries (UNICEF, 2015). There are several reasons for the high maternal mortality rates in sub-Saharan Africa, including extreme poverty and inadequate infrastructure. It is possible to save lives with basic health care and gender equality. Alaffia’s Maternal Health Project has two parts; The ﬁrst is a direct approach by which Alaffia provides funding for full pre- and postnatal care, including special and urgent needs, to women in rural Togo. Alaffia product sales have paid for the births of 4,832 babies in rural Togolese communities through the Togo Health Clinic system! The Alafﬁa Women’s Clinic Project is the second part of their women’s health efforts. In 2007, they formed partnerships with local Togo clinics to provide information and training on all women’s health issues, including nutrition, preventing female genital mutilation, and much more. They believe that saving mothers is a necessary step in reducing poverty. When a mother dies, her surviving children’s nutrition & health suffer, and they are more likely to drop out of school, reducing their ability to rise out of poverty. The future of African communities depends on the education and empowerment of young people. Since Alaffia founded their shea butter cooperative in 2003, they’ve provided school uniforms, books, and writing supplies to children in Togolese communities to offset the ﬁnancial burden these items have on poor families. They also donate desks and install new roofs on schools to make learning a more enjoyable experience. Since 2011, Alafﬁa product sales have funded the construction of twelve schools throughout Togo and provided school supplies to 34,640 recipients. They now partner with retail stores to collect school supplies – if you would like to help collect pens and pencils for this project, please contact their ofﬁce at 1-800-664-8005. In rural areas of Togo, students walk up to 10 miles a day to attend school. There are no buses, and families cannot afford private transportation. As a result, school becomes very time-consuming, and most students decide to quit school in order to fulﬁll their family obligations. 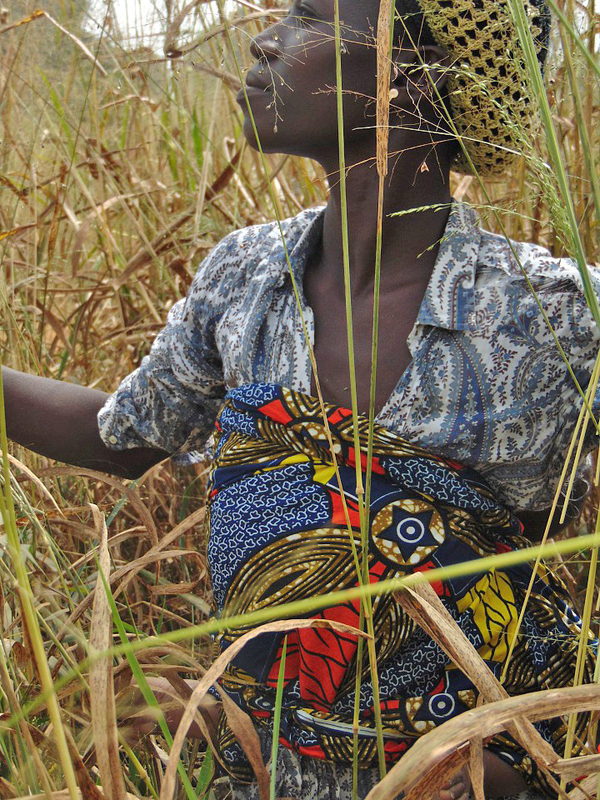 In rural areas, less than 10% of high school-aged girls and only 16% of boys attend school (UNICEF). 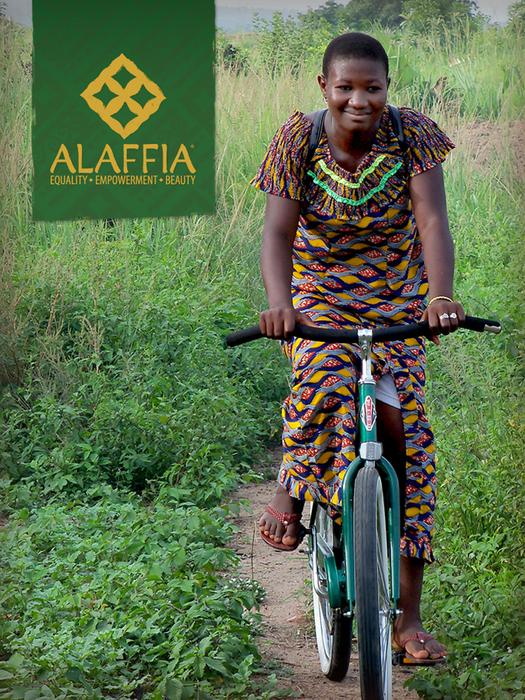 In 2004, Alafﬁa began collecting and sending used bicycles to Togolese students to encourage them to stay in and complete school through their Bicycles for Education Project. Now, with over 8,253 bicycles sent and distributed, they are seeing a real impact on exam scores and retention in rural schools. 95% of Bicycles For Education recipients graduate secondary school. Deforestation and climate change have had a devastating impact on West African farming communities. 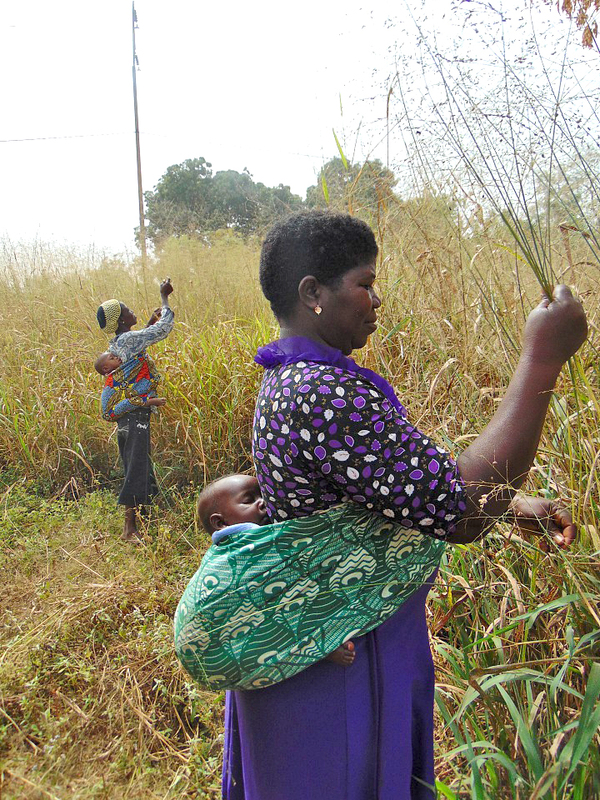 Alaffia product sales have funded the planting of 59,775 trees by Togolese farmers to help mitigate erosion and improve food security for their families. They also conduct trainings to discourage the cutting of shea trees for ﬁrewood and charcoal to preserve this important indigenous resource for future generations. Through their Alternative Fuels Project, they investigate sustainable fuel alternatives, such as bio-gas and bio-oils, to reduce the demand for wood and charcoal. In Togo, it is extremely difficult for visually impaired people to obtain eyeglasses. An eye exam costs as much as one month’s wage and a pair of eyeglasses can cost up to four months of wages. Alaffia collects used eyeglasses at retailer locations throughout the US and employs an optometrist in Togo to correctly fit and distribute the glasses. A pair of eyeglasses is life-changing for a child struggling in school, the elderly with failing vision, and adults who have never been able to see clearly. To date, Alaffia has collected over 25,588 pairs of glasses. As part of their Maternal Health Initiatives, Alafﬁa aims to educate women about the dangers of Female Genital Mutilation (FGM), or excision. FGM includes procedures that intentionally alter or cause injury to the female genital organs for non-medical reasons and is recognized internationally as a violation of the human rights of girls and women. The procedure can result in severe bleeding, infections, life-threatening complications in childbirth, and increased risk of newborn deaths (World Health Organization). Abidé Awesso is the Maternal Health & FGM Eradication Coordinator in the Bassar region of Togo and has been working with Alafﬁa since 2012. Hodalo Katakouna was one of Abidé’s ﬁrst patients and one of the ﬁrst women to be supported as part of our Maternal Health and FGM Eradication project. Click here to read Abidé’s account of Hodalo’s story. The Right to Food in the United States – What can we do on the local level? It’s time for the United States to support the human right to food. Every person must have access to safe, nutritious, and adequate food obtained in dignified ways to be healthy and have an adequate standard of living. Our federal government should commit to respect, protect and fulfill the right to adequate food and nutrition, as almost every other country in the world has done. Recent assaults on federal food assistance by our government have stirred public outrage, as well as resistance from more moderate members of Congress. But the problem goes deeper than threats to food access in the current administration – the solutions need to be made comprehensive and accessible. United States opposition to the right to adequate food and nutrition (RtFN) has endured through Democratic and Republican administrations. 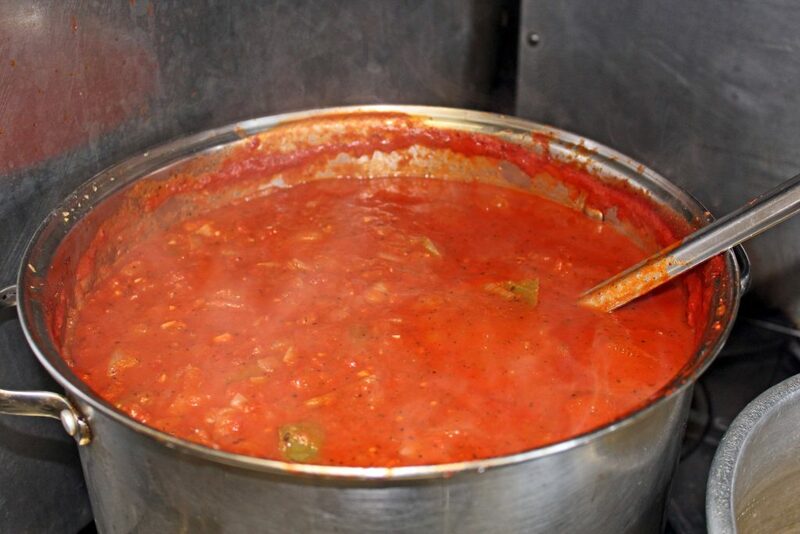 Nevertheless, post-World War II bipartisan programs in support of food and economic security were greatly improving hunger and poverty until they were reversed in the early 1980s. Combined federal and private food assistance cobbled together since that time has not been adequate to prevent steady or rising hunger and food insecurity in the U.S. on national and local levels. 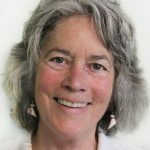 In Vermont, the latest available data (2013-2015 average) tell us that 6.3% of households had low food security (reduced quality, variety, or desirability of diet) and 5.1% had very low food security (reduced food quantity or disrupted eating patterns because of not having enough money or resources). This problem is especially serious in households with children: nearly 1 in 5 children in Vermont doesn’t have regular access to enough food for a healthy, active lifestyle. Although nobody expects action at the federal level anytime soon, support may be feasible at town, city and state levels. Democratic action is often most effective and possible when people know and encounter each other regularly, and can hold each other accountable. Middlebury and Vermont could support the RtFN, even without federal action, in many ways. We could look for guidance to many other places around the world that have created programs in line with the RtFN, then develop a plan for eliminating hunger and food insecurity that could be a model for other cities and states. To find out more about the state of food security in the U.S., please see the following resources. 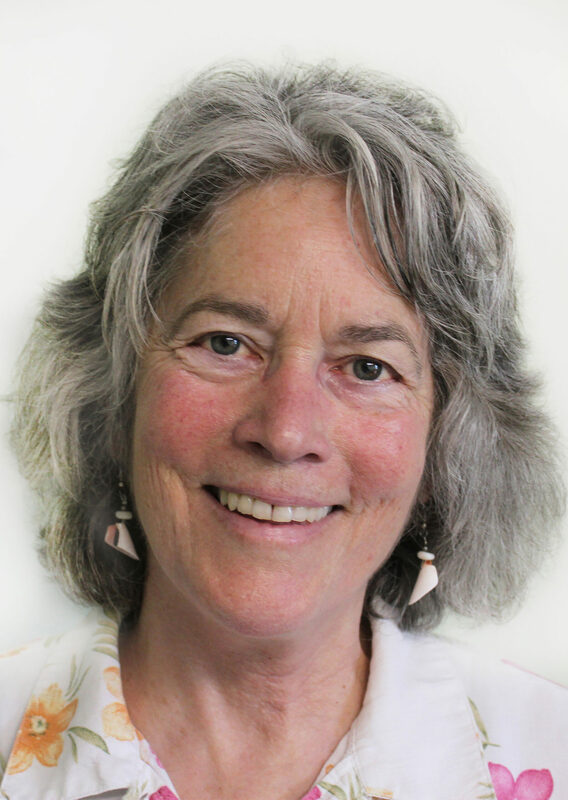 Molly Anderson is a Middlebury Natural Foods Co-op Board Member. 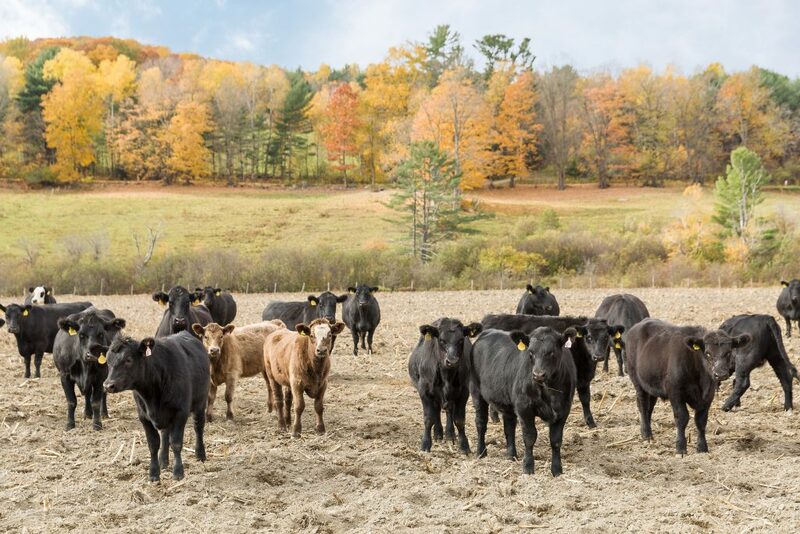 Black River Meats creates solutions connecting farmers, chefs, and retailers in the local and natural meat marketplace. They achieve this with the help of a state-of-the-art, Animal Welfare Approved facility, Vermont Packinghouse. The facility opened in the fall of 2014 with the goal of putting humanely-raised, ethically slaughtered, beautifully cut local meat onto our tables. The designs for their facility were developed by Temple Grandin’s firm, so they meet the high standards that Grandin, a pioneer in humane livestock handling, has set for such facilities. They point out that The US meat industry is almost entirely controlled by four companies. 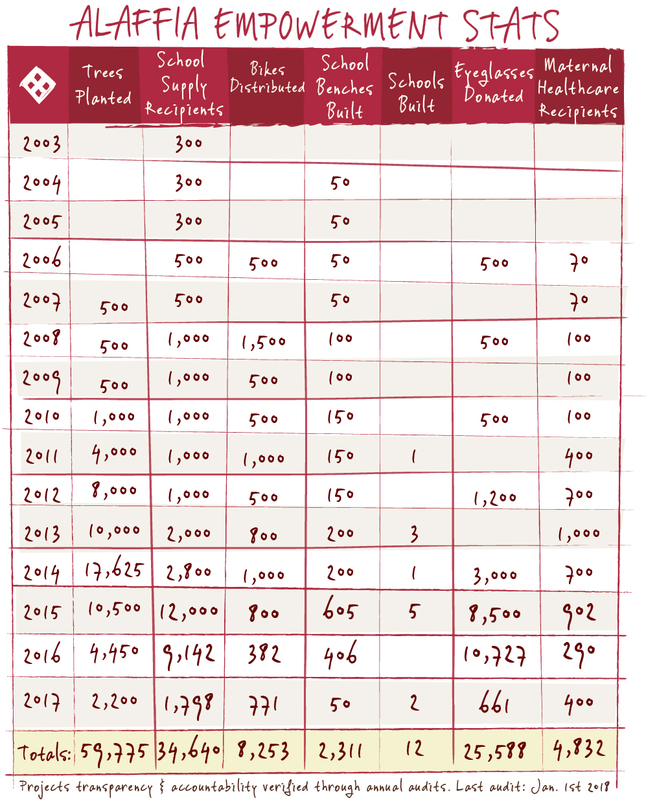 If we are to ever move away from this consolidation and towards a decentralized and sustainable base of meat production, we must develop mid-sized supply chains that are big enough to have an impact, yet small enough to care. Making meat as it ought to be is the mission of Vermont Packinghouse. They are one of only two facilities in the US with viewing windows, allowing those who are interested in taking a tour and gaining a better understanding of how the meat they eat is processed. They acknowledge that this is an act that can require courage and vulnerability, but that it can ultimately spark greater respect for animals, meat, and meat industry workers. And it seems that there are plenty of folks who are interested in taking these tours, from student field trips, chefs-in-training, or individual families who want their children to understand where their meat comes from and how it moves through every part of the supply chain. We even had a group of Co-op staffers who took a field trip to check it out! Farmers who bring their livestock to the facility for processing also appreciate the opportunity to see how their animals are treated after they leave the farm. “I want the best start for my animals, the best life, and the best end – then I know I’ve done my job as a responsible meat farmer”, said one of their producers. 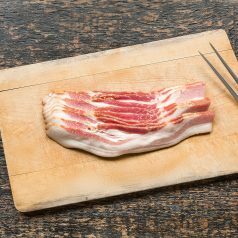 The Packinghouse processes New England raised meats from small and medium-sized farms for Black River Meats, who then bring the products to our store shelves and your home. This represents an important move toward greater collaboration between local meat producers, meat processors, and meat consumers in Vermont and New England. 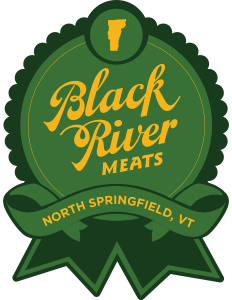 Black River Meats works closely with their producers to ensure quality production, humane handling, efficient processing and fair pricing. They have an open door policy of transparency with all of their customers and invite you to call and schedule a visit to their farms, processing facility, and a tour of their warehouse! Orca Bay is pleased to be an example of how ethics, fairness, and friendship can be core values of a healthy and thriving business endeavor. They’re on a mission to “do business honestly, honorably and show continuous improvement.” From their people to their products, to the clients that they serve, their goal will always be to exceed expectations and to keep the Orca Bay whale synonymous with true quality and customer satisfaction. They have invested over three decades into searching out and nurturing business relationships with some of the most quality-minded seafood harvesters in the world. At Orca Bay, they strive for complete transparency with their customers, employees, and suppliers. Together they collaborate to ensure that demand and standards for the finest seafood do not come at the expense of the individuals or oceans that provide them. From harvest to your kitchen table, they believe you have the right to know where, who, and how your fish got to you. Common Sense Seafood is how Orca Bay describes its dedication to responsible stewardship and wise business practices. It means targeting well-managed fisheries that are built for the long run. It means partnering with quality-minded providers who share their ethics. And it means providing customers with all the delicious, nutritious things that seafood has to offer. Orca Bay follows a fairness-based approach that embraces the fact that the health of their business goes hand in hand with the health of our oceans. Orca Bay is also committed to supporting organizations which promote their shared values in business, health, and social responsibility such as the National Fisheries Institute, Sea Share, and the Whale Research Center. 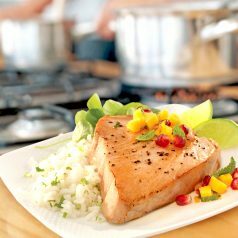 To learn more and to find great seafood recipes, click HERE. Co-op Connection Business of the Month – Green Peppers! 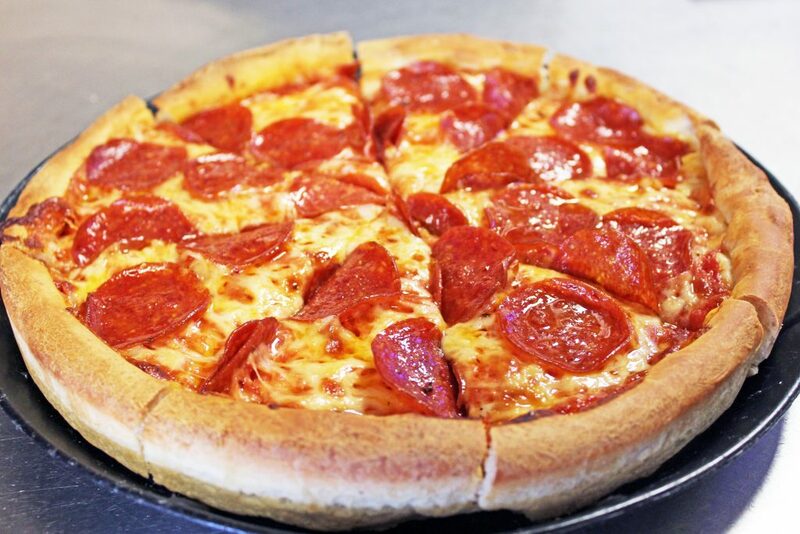 Have a hankering for a mouth-watering slice of pizza? Or how about a calzone, some pasta or a fresh, beautiful salad? Check out Green Peppers Restaurant! 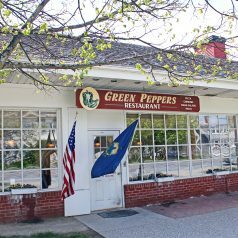 They’re our Co-op Connection Business of the Month, so we’re reminding member-owners that you can enjoy 10% off your meal at Green Peppers! 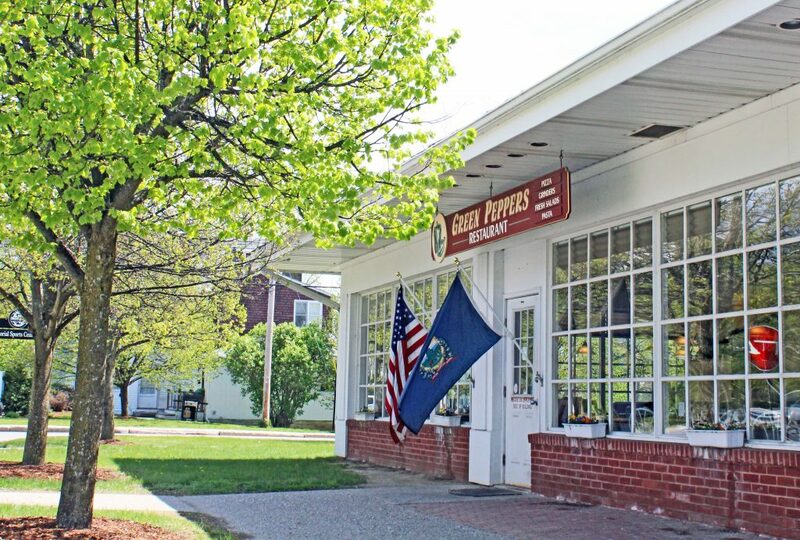 Green Peppers, owned by Mark and Donna Perrin, has been serving up delicious food in Middlebury since 1982. 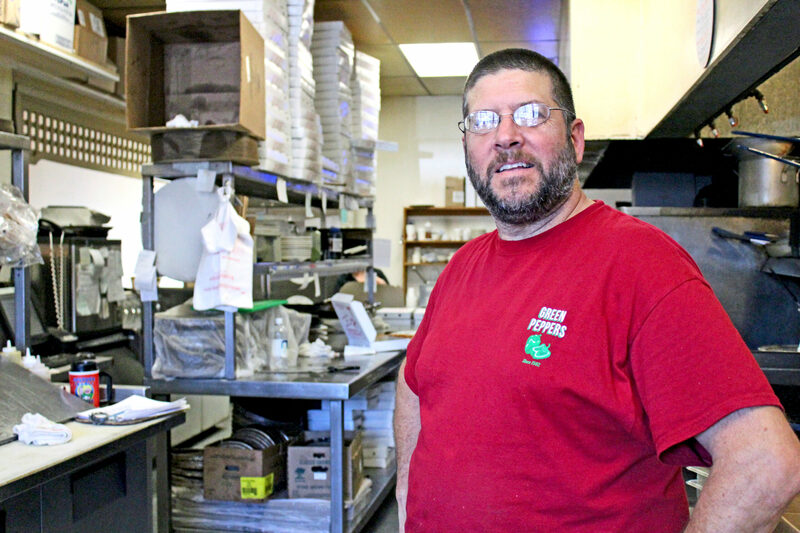 In addition to being a great chef, family-man, and successful small business owner, Mark is also very involved in serving his community. He participates in Hunger Free Vermont’s local chapter of the Addison County Hunger Council, which aims to alleviate food insecurity for members of our community. He has also been actively involved in the community by serving on the Chamber of Commerce Board, Workforce Investment Board, and Middlebury Business Association Board. Governor Shumlin appointed Perrin to the State Board of Education on April 12, 2013, to serve a six-year term (2013-2019) with a focus on policy concerning the education of Vermont students and assuring equal access for all Vermont students to a quality education. Perrin also knows what it means to be a good neighbor. Two years ago, a water main rupture on Washington Street left us with a mountain of dirty dishes and no running water. Mark and the rest of the crew at Green Peppers welcomed us into their kitchen without hesitation! We were so grateful! We’re proud to know Mark and proud to have such a wonderful local restaurant as our neighbor. 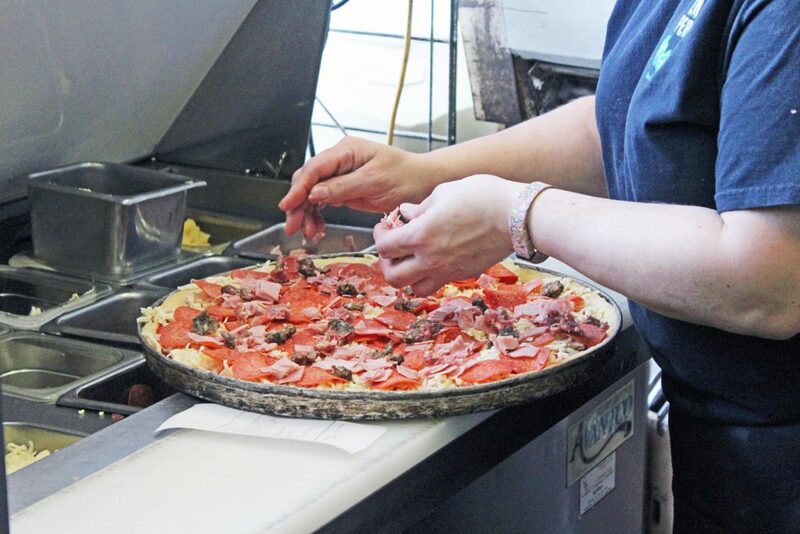 Green Peppers is open daily at 10:30 am and offers dine-in or take out service. Choose from a mouth-watering list of soups, calzones, salads, pasta, pizzas, subs, and more! Gluten-free? They’ve got you covered! Just don’t forget to mention that you’re a Co-op member!